Here's a fun way to finish off your outgoing mail with something cool and creative! 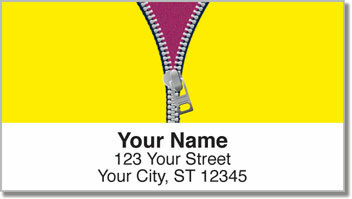 The colorful images on these return address labels feature zippers that are their way to the top. The earliest form of the zipper was created by Elias Howe - who also invented the sewing machine. Howe was so consumed by the success of that product that he never marketed his so-called "Automatic Continuous Clothing Closure," and other inventors got the credit. B.F. Goodrich dubbed the now famous fastener the zipper in 1923. The name stuck. And we think you'll agree that it's pretty snappy! 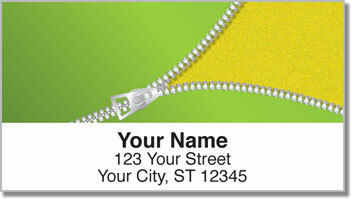 Zipper Address Labels are also quite convenient! All you have to do is stick them on letters and packages instead of scribbling out your name and address over and over again. 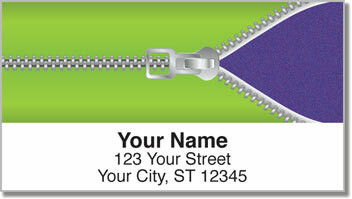 Get your own Zipper Address Labels today! 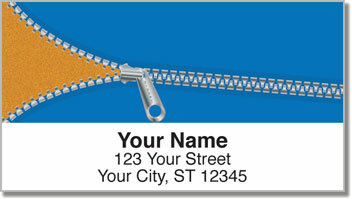 Complete the order with some matching checks!